Xiaomi said, they are setting up a platform to officially announce their new Redmi 5 and Redmi 5 Plus Smartphone in China on Thursday 7th december. An information from the director of the company product management, Donovan Sung, as he shows off the gadget photos on twitter. For now there are not really any specific details on pricing or specifications available for both Smartphone’s, but form the twitted photos It is clear that both phones have slim bezels and approximately 18:9 screens, which is equivalent with many high-end devices leaked this year. The Redmi 5 is expected to be powered by a 1.8GHz octa-core processor which is speculated to be the Snapdragon 450 chipset. 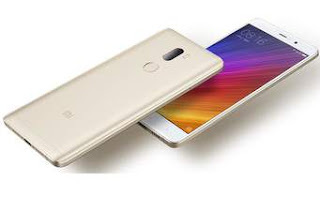 It is also expected to comes with a rear-mounted fingerprint sensor and packs a 4,100mAh battery. The proposed Redmi 5 listing shows that the device might launch in three configurations of 2GB RAM/16GB ROM, 3GB RAM/32GB ROM and 4GB RAM/64GB ROM. The internal storage can also be expanded up to 128GB using a microSD card. We think that the pricing will not be so high, hence it will affordable following the Xaomi Redmi 4 pricing at 6,999 rupees in India, or about $108. With this you can gets a phone with a metal build, a fingerprint sensor, a 5-inch 720p display, a Qualcomm Snapdragon 435 processor, a 13-megapixel camera, and a 4,100mAh battery. ← How To Fix Unresponsive Html/Java Script on Blogger.